Rev. Robert (Bob) Lee Paulus was born January 21, 1935, in Waterloo, Iowa to John and Lucille Paulus. He went to be with Jesus on April 4, 2019, at the age of 84 in Santa Maria, California after a long illness. The family moved to Southern California when Bob was eighteen months old. They lived in several towns but settled in Gardena. He graduated from Gardena High School in 1953 and was elected to the Ephebian Society. He attended Cal Poly San Dimas on a scholarship from Standard Oil and at that time he planned to be a landscape architect. While in college, he felt a call from God to become a minister and he finished college at the University of Redlands in 1958. He then went to Cal Baptist Seminary in Covina, graduated in 1962, and was ordained as an American Baptist minister. His vocation took him to positions in Covina, Monrovia, Los Angeles General Hospital, and then in Eagle, Idaho. He accepted a call for the American Baptist Churches of the West to Belmont Baptist Church in the Bay Area in 1967 and served in several other churches for the next 45 years. One of the positions he most enjoyed was being a pastor to Seniors at First Baptist Church, Burlingame. His ministry included taking them to 90 different places including museums, special gardens, and festivals all over Northern California. He was also on a Teacher's Faire Committee and made arrangements for many well-known Christian speakers to be part of the annual ecumenical workshop. In 2004, he became a teaching pastor at Hope Evangelical Lutheran Church in San Mateo, California. He was a Rotarian for 35 years in Belmont. During their years in Belmont, Gloria and Bob were a host family for many foreign students. They enjoyed travels to Europe and Israel, as well as traveling to the East Coast and the middle West for various conferences and family events. After moving to Santa Maria in 2016, he became a member of Bethel Lutheran Church. In 1956, Bob married Gloria Johansen. They had three children, Rob, Chris, and Elizabeth, who all live in the Central Coast area now. 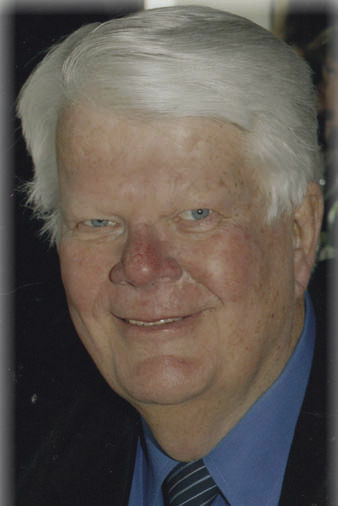 He is survived by his wife of 62 years, Gloria; his children, Rob (Denise), Chris (Serena), and Elizabeth; his sister, Barbara Watters; seven grandchildren, Stephanie (Peter) Larsen, Ashley Paulus, Kelsey (Tye) Barba, Nathanael and Nicholaus Paulus, Meghan and Tyler Greenlee; four great grandchildren, Anton, Gloria, and Albert Larsen, and Teylie Barba; and many cousins and friends. In lieu of flowers, Bob requested that contributions be made to Hope Evangelical Lutheran Church, 600 W. 42nd Avenue, San Mateo, CA 94403. A “Celebration of Life” service will be held on Saturday, May 25, 2019 at 11:30am at Bethel Lutheran Church, Santa Maria. Wanda Mae Lord, 90, of Pismo Beach, passed away April 10, 2019. Services are in the care of Marshall-Spoo Sunset Funeral Chapel of Grover Beach. Michael Hedgecock, 55, resident of Santa Maria, passed away April 5, 2019. Arrangements have been entrusted to the care of Lori Family Mortuary, Santa Maria. D'Onna Kennedy, 72, resident of Pismo Beach, passed away April 8, 2019. Arrangements have been entrusted to the care of Lori Family Mortuary, Santa Maria. Mario Gomez De Leon, 80, resident of Santa Maria, passed away April 2, 2019. Arrangements have been entrusted to the care of Lori Family Mortuary, Santa Maria. With great regret, Sharon Ann Cox-Carr (Sparky Carr) passed away on March 22, 2019, at her home in Santa Maria, California. This is one most unfortunate situation, unexpected and she will be missed dearly by all. Sparky was born in Ogden, Utah, January 9, 1958. She resided and grew up a portion of her life in Imperial, California, located in Imperial Valley. Subsequent to that she relocated to Santa Maria, California and later married John Carr in 1983. Sparky and John later divorced and she had remained single for the past 18 years. However, Sparky and John continued to work together and remained best friends until she passed away. Sparky is very well known for being affiliated with and co-owner of Carr's Boot Shop, Santa Maria for over 35 years. Sparky was a tireless worker, extremely loyal to her responsibilities, duties and could be depended on. Sparky loved her dogs and bird. When she would enter a room with her friends, the entire area seemed to light up. She really enjoyed having a few beers and chocolate cakes at Louie B's in the evenings after work and playing pool with her lifelong friends. She was an excellent cook among several other positives. Close relatives: Father Babe M. Cox (Mac) deceased Imperial, CA, Mother Juanita Walker, Santa Maria, CA, Son William Keith Dykes, Big Sandy, TN, Brother Kenneth Cox, Wasilla, AK, Sister Karen Boe, Las Vegas, NV. The Celebration of Life will be held at Cisneros Barn, located at 2750 Bull Canyon Road, Santa Maria, CA on April 25, 2019 from 1:00 pm until 5:00 pm. Cecilia Perez Herrera, 72, resident of Visalia, passed away March 30, 2019. Arrangements have been entrusted to the care of Lori Family Mortuary, Santa Maria. David Lewis, 67, resident of Santa Maria, passed away April 7, 2019. Arrangements have been entrusted to the care of Lori Family Mortuary, Santa Maria. Louise Johnson, 83, resident of Los Osos, passed away April 7, 2019. Arrangements have been entrusted to the care of Lori Family Mortuary, Santa Maria. Barbara Hillstock, 75, resident of Santa Maria, passed away April 5, 2019. Arrangements have been entrusted to the care of Lori Family Mortuary, Santa Maria. Mary Newsome, 99, of Lompoc, passed away April 10, 2019. Arrangements are in the care of Starbuck-Lind Mortuary, Directors. Louis Aguirre Ogas of Santa Maria passed away peacefully at home with his loving family by his side on April 8, 2019 at the age of 100 years. He was born October 7, 1918 in El Paso, Texas and married the love of his life, Margaret Trejo, on December 11, 1940 in Orange, California. They raised their two children in Santa Maria. Louis was a wonderful husband, father, and grandparent and cherished spending time with his family. He always had a positive attitude and was very passionate about learning and encouraged doing the best. It was important for Louis to have a positive impact on the lives of people who needed help. He was involved in various community activities and was a life member of the Local 220 Construction Laborers Union, a founding member of the American GI Forum in Santa Maria, involved in the Community Action Commission, and a member of the Democratic Club. Louis enjoyed being around people and once he retired from the Laborers Union, he and his wife Margaret opened a bar, named Louie's Place, and later opened a pool hall called The 8 Ball. Louis is survived by his wife of 78 years, Margaret, their two sons Luis and Robert and his wife Susie, daughter Mercy, and the following grandchildren: Marissa and father of their children Robert, Christalina and husband Baltasar, Luis and wife Sherri, and Mateo. His great grandchildren are Robert, Alyssa, Braydon, Mila, Max, and Lucas. He is also survived by his brother Hector Villalobos and Family. The family is deeply grateful for the support and care given to Louis throughout his life, and especially to the loving caregivers, Marissa, Teresa, Lorenza, Maribel, Connie, and Mercy Lee in the past year. A private memorial service held by family will take place at the Santa Maria Cemetery on April 13, 2019. Heriberto Morin Estrada or “Beto” as everyone knew him passed away on April 6, 2019 at the young age of 62. A longtime resident of Santa Maria California, Beto was born in H. Matamoros Tamaulipas to the parents of Ana Maria Morin Estrada and Wenceslao Estrada. Beto was employed in Agriculture for over 40 years since he moved to California in 1974. Beto enjoyed music, drawing, reading his bible, and family gatherings where he spent time with his brothers and sister whom he was very close to. Beto could always make you laugh by his impersonation of others and his jokes. Beto was a very loving man regardless of the relationship, he loved you so much and everyone loved him. Beto is survived by his 4 children, Jason Findley of Kelseyville Ca, Martin Estrada, Martha Estrada, and Rosa Estrada all of Santa Maria, California. He is survived by his brothers Jose Luis Estrada, Manuel Estrada, Gustavo “Tavo” Estrada, Ernesto “Nico” Estrada, Gloria Carrillo, and Eduardo “Lalo” Estrada all of Santa Maria, 10 grand children and 6 great grandchildren. He is preceded in death by his father Wenceslao Estrada, and Grandson Roman Martin Estrada. 6 pm. Another viewing will be held Tuesday at 9 AM immediately followed by grave side service at Santa Maria cemetery. The family wishes to thank all those who have shown their love and support through this difficult time. Mass of Christian Burial will be said on Monday, April 15 at 10:30 A.M. at St. Aloysius Catholic Church in Tulare for David Morton Anderson 67, of Santa Maria and formerly of Porterville, who passed away March 30. The Reverend Msgr. Rick Urizalqui will officiate and interment will follow at Lindsay Strathmore Public Cemetery. David was born October 25, 1951 in Lindsay to Paul and Jean Anderson and was raised and attended local schools. He graduated from Lindsay High School with the Class of 1969 and went on to attend College of the Sequoia's and Cal Poly San Luis Obispo. He married Linda Milanesio at St. Aloysius Church May 29, 1976. David worked as an engineer with General Cable for many years and then after moving his family to Santa Maria, worked as an engineer for Okonite Cable there, retiring in 2013. He enjoyed golfing, swimming, hiking, backpacking with his buddies from high school, woodworking, music and photography. He spent lots of time converting old photo's to digital media and providing his family and extended family with copies of wonderful memories. He loved spending time with his family and friends and going to the casino. David was preceded in death by his parents Paul and Jean Anderson and a sister Joan Merritt. He is survived by his wife Linda Anderson of Santa Maria; his daughter Katie Anderson of Santa Rosa; his sister Sally Simpson of Oakhurst; his grand daughter Kaylani Miscoi as well as numerous other relatives and friends. No visitation is planned. Hazel D. Valente-Oliveira Wysong, 94, of Grover Beach, passed away March 25, 2019. Services are in the care of Marshall-Spoo Sunset Funeral Chapel of Grover Beach. Anna Jeanette Blackwell, 95, of Long Beach, formerly of Pismo Beach, passed away on April 7, 2019. Services are in the care of Marshall-Spoo Sunset Funeral Chapel of Grover Beach. Jeannette Stewart, 80, of Colorado and formerly of Grover Beach, passed away April 6, 2019. Services are in the care of Marshall-Spoo Sunset Funeral Chapel of Grover Beach. Daniel Fuentes, 41, of Oceano, passed away April 3, 2019. Services are in the care of Marshall-Spoo Sunset Funeral Chapel of Grover Beach. Tuesday, March 12th, 2019 Ruth E. Cormany passed away peacefully, surrounded by family, at her home in Nipomo, California. Ruth was born in Los Angeles California on March 15th, 1930 to Robert and Clara Young; she was the youngest of four children, she had 1 brother (Bob Young) and 2 sisters (Norma Rankin and Mildred Thomas). She grew up in Clearwater CA, part of present-day Paramount, where at 14 years old she met Burt, her paperboy. For Burt it was love at first sight. After Burt graduated from Compton high school in June of 1946 Burt and Ruth were constant companions. In September of 1946 Burt enlisted in the Army at 17. After basic training at Fort Knox Kentucky Burt was given a ten-day leave in late December prior to reporting to Fort Stoneman CA. for oversees occupation duty. Burt proposed to Ruth on December 20th and with written permission from her father, Ruth and Burt drove overnight with friends to Yuma AZ where they were married by a Justice of the peace on December 21st, 1946. On January 2nd, 1947 Burt was deployed to South Korea for occupation duty. Ruth traveled by Greyhound bus to spend New Year's 1947 with Burt in San Francisco. During the 14 months Burt was overseas Ruth stayed with Burt's large family on acreage in Clearwater, where she was loved and accepted as family. She continued her education graduating from Clearwater's four years combined seven thru tenth grade school. Ruth worked several jobs while Burt was overseas to save money to start a life when he returned home. Best of all she loved working with Burt's family on their small acreage in rural Clearwater helping with their farm animals. After returning from Korea in April 1948 Burt began his education using the GI Bill to attend his first two years of college at Compton College. While there Burt and Ruth rented a small room attached to his family's garage. While there a son, James, was sadly stillborn, since in those days fetus monitoring during birth was lacking modern technology. In March of 1950 a second son, David, was born healthy. After graduating from Compton College, Burt was employed with Douglas Oil Company's research lab in Paramount CA. as a research technician in their asphalt product development laboratory. Burt and Ruth moved to Compton in 1951 where their Daughter Cathy was born in 1952. In 1953 they bought their first house in Lynwood Ca. and welcomed a second son, Kirk, in 1956. In 1960 they bought a house in Pico Rivera CA. in time to bring home their second daughter Michele. Burt was transferred to Santa Maria in 1974 to become Refinery Manager of Douglas oil Company's Santa Maria Asphalt Refinery. They purchased ten acres of undeveloped property in Nipomo on a dirt road and no utilities. Ruth knew in time, with its trees and wildlife, a future home for her growing family would be built as a family gathering place. A home was purchased in Santa Maria until they were able to subdivide and develop the Nipomo property. In 1986 they completed construction and moved into their Nipomo home. Ruth was compassionate, kind, loving and selfless. She was Active as Cub Scout den mother, Girl Scout leader, in PTA, and girls' softball cheerleader. She was wonderfully witty, had a quick sense of humor, a sharp mind and wonderful memory. She was a talented seamstress, crafter, decorator and an amazing cook. She loved her animals, which were many at times! She had dogs, cats, birds, ducks, chickens, goats, miniature horses, her parrot Woody, and even llamas. She shared her talents, passions, attributes and example with her children and grandchildren who have each embraced and immortalized her in the way they live their lives and their passions and talents. Family and friends were always the most important priority to Ruth, and she filled her home with love, undeniable to those who entered. Ruth was truly a gem in the universe, the most precious of gems to her family. She embraced the highest moral and ethical standards in honesty and human kindness. Her loving, nurturing devotion, as a wife, mother and grandmother will be deeply missed, but her legacy and inspiration will forever live on through generations. Donations in Ruth's memory can be made to any local animal rescue shelter. Michael Sinclair Mannon passed away on March 19, 2019 at home in Grover Beach, CA after a long battle with emphysema. He was 59 years old. Mike was born on March 25, 1959 in Hobbs, NM to Norma and Alfred Mannon, the third of their five children, and the only son. Mike spent his childhood in New Mexico, Texas, and Wyoming before moving with the family to Santa Maria when he was 13. He attended Orcutt Junior High and Righetti High Schools before graduating from Delta High School in 1978. After high school Mike followed his father into the oil business, first in Wyoming on a pipe inspection team and later returning to California where he worked for H&H Oil Tool Company and on oil rigs for Kenai Drilling and Cal Pac. In 1989 he went to work offshore on the Platform Harmony. In the following years Mike worked on both oil and water-well drilling rigs in the Santa Maria Valley and along the Central Coast. He retired in 2011 when his health worsened. Mike also shared a love of woodworking with his father. He was a talented craftsman, turning out beautiful bowls, cups, and pens on his lathe that he lovingly shared with his family and friends. He and his father also hand-crafted many items in the sanctuary of the Orcutt Presbyterian Church. Mike was preceded in death by his parents, Norma and Al. He is survived by his four sisters, Leslie Pilcher (Mark), Shirley McDonald (Bill), Linda Puccioni (John), and Bev Zimmermann (Eck), as well as six nieces and nephews. Mike also leaves behind his cats, Missy & Buddy. Mike had his share of struggles in his life, but he took things in stride and never carried a grudge. He was a son and a brother who was dearly loved by his family. He was also a loyal friend who had a strong and supportive network of people around him, particularly in the last years of his life. Mike will be interred at the Memory Gardens of Dudley-Hoffman Mortuary next to his parents. Francisca Salazar De Hernandez, 58, of Santa Maria, passed away April 8, 2019. Arrangements are in the care of Moreno Mortuary. Corina V. Galindo passed on April 1, 2019. She was born and raised in Dixon, New Mexico on Sept. 5, 1927 to parents Nariso S Valdez and Beatrice Brown Valdez. Surviving children. Daughter Rebecca C. Amido and surviving son Juan Galindo. Corina had 8 grandchildren, 14 great grandchildren, and 3 great great grandchildren. Celebration of life will be held April 12, 2019 at Dudley Hoffman Mortuary at 2:00pm with reception to follow. Roy Hugh Smith passed away on April 5, 2019. He was 89 years old. He was born on November 3, 1929 in Santa Maria, CA. to Ulah and Dorothy Smith. Roy grew up in Tepusquet Canyon where his family farmed. He attended Santa Maria High School. In 1951, Roy was drafted into the U.S. Army and stationed at Fort Ord, CA. He was shipped to Korea during the Korean War. Roy was injured by enemy fire and spent eighteen months in the hospital at Camp Cooke. In December, 1958, Roy married the love of his life Charlotte “Doodie” Tognazzi. They raised two sons, Kenny and Bobby. Roy made his home in beautiful Los Alamos, CA. where he and his family farmed and raised cattle for thirty five years. Roy had a passion for ranching and farming. He was also well known as Fire Boss for the local Santa Barbara County Range Improvement Association, founded in 1955. In 1995, Roy and his family moved back to his homestead in Tepusquet Canyon where he continued to farm and raise cattle. Roy loved working outside in the “Mother Earth” and will be missed for his mischievous smile and gritty wit. Roy is survived by his wife of 60 years Charlotte “Doodie” Smith, son Kenny and wife Mo of Winnemucca, NV. Granddaughters Sarah (Jeremiah) Maestrejuan of Germany and Shauna Smith of Twin Falls, ID. Son Bobby and wife Lanette and grandson Kreece of Tepusquet Canyon. Visitation will be held April 12, 2019 from 4 – 7 p.m. at Dudley Hoffman Mortuary. David William Sheffield lost his lengthy and tough battle with cancer on March 30, 2019 at the age of 53. He is reunited with his grandparents and his father. David was born and raised in Santa Maria and grew up on his grandparent's ranch. He had a natural knack for fixing cars and collected them over the years. He was a truck driver in the 90's and had his own one-man business. After “retiring” from trucking, he was a heavy line mechanic for Ford and Chevrolet dealerships both locally and in the Clovis area, where he had relocated with his wife, Kristi, and their two children. David enjoyed spending time with his family, fishing, collecting Gumby memorabilia and rebuilding cars and trucks. He is survived by his wife, Kristi Sheffield, and their two children, Danika Sheffield and Joseph Sheffield, his eldest daughter Amanda Sheffield, his mother, Patricia Sheffield, and brother John Sheffield. At his request no services will be held.